← Whitby Bands Poll: Result! Mention the city of Kingston-upon-Hull to anyone vaguely alternative in the UK, and chances are they’ll tell you ‘Spiders Rocks’! It’s possibly one of the most formidable nightclubs in the country, running consistently since 1979. That longevity probably owes to their stubborn resistance to playing dance, modern R&B or anything popular – which meant a lot of sidelined music genres ended up taking refuge at Spiders, in weird proximity to each other! Even when I started going, at the end of the Nineties, I knew you could hear Motown and Soul and Blues upstairs. It was downstairs where you could hear rock, punk, metal, indie and even some Goth. 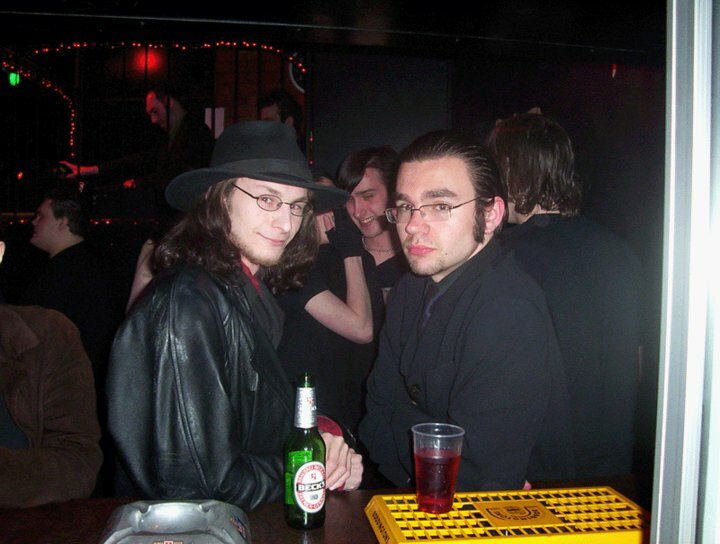 The Blogging Goth, right, at Spiders in 2005. 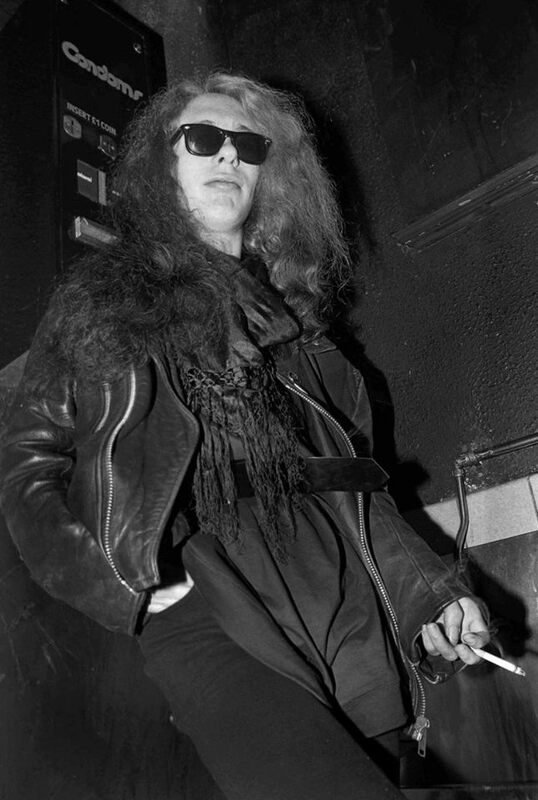 This was a holdover, of course, from the club’s contemporary music policy during the Eighties, the Golden Age of Goth. By the time I arrived, however, the DJs were catering to the broad crowds of pop punk and rap metal fans, and grudgingly allowed just a handful of classic Goth tracks spread thinly throughout the night. 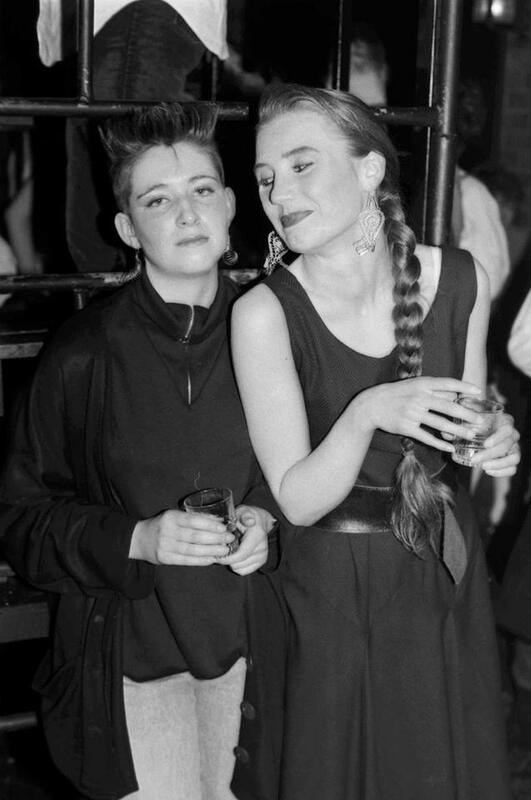 For me, the clearest symbol of that proud heritage as a Goth venue were the black-and-white framed photos of punters from the Eighties on the wall approaching the cloakrooms. 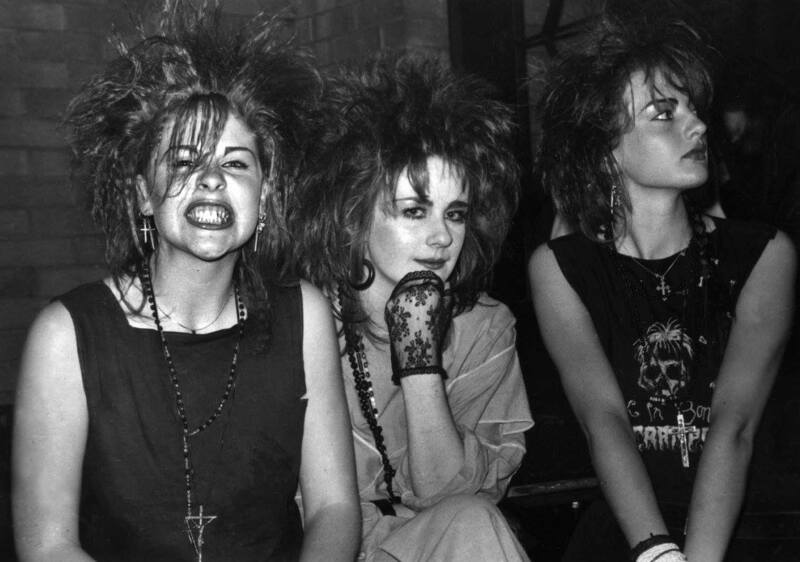 For many, many weekends as I waited to check my jacket, I’d gaze at those photos of Goths and Punks and envy them living through the rise of my favourite music genre. 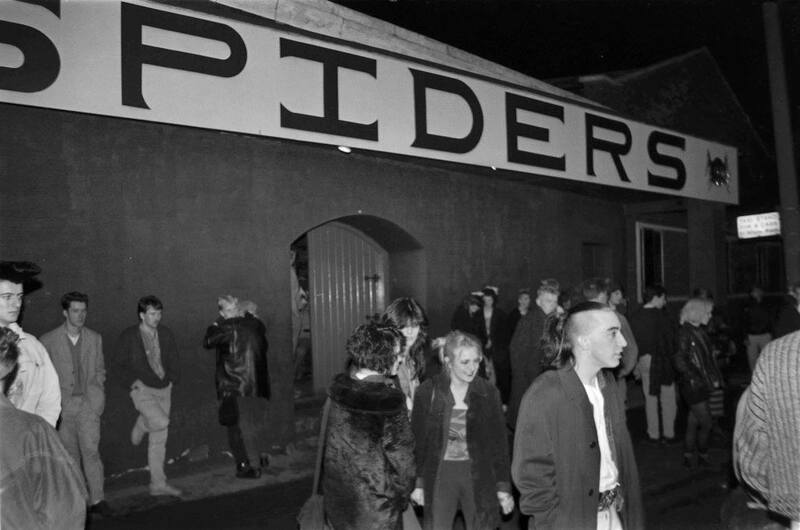 So I was delighted to see that the photographer who originally took them has put them online, and is seeking his old friends to get in touch with memories and anecdotes of Spiders Nightclub. 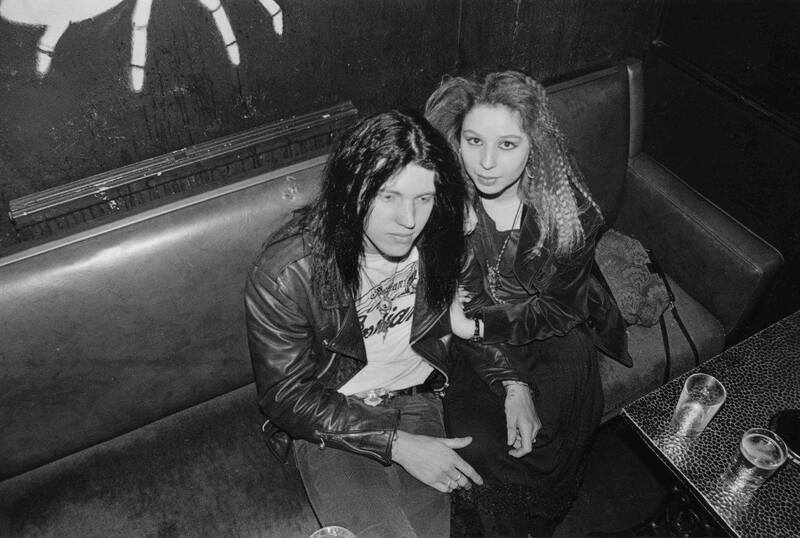 If you have any recollections or recognize yourself and friends, please contact Andy Roe, who is considering writing a book about this infamous venue. I look forward to enjoying even more of the history of a place personally important to me, that was also vital to the developing alternative scene in the Eighties – and has remained a safe haven for it ever since! This entry was posted in Uncategorized and tagged classic goth, fun, goth subculture, history, links, news, nightclub, personal, response. Bookmark the permalink. Hello there, my name’s Andy Roe, the person who took those black and white images. Could you, the Blogging Goth, contact me, as I’d like to use some of what you’ve said, on this page, in my book. My email is: andykroe@yahoo.co.uk. Hi Andy – shall do, happy to be involved! An anecdote/memory of Spiders from you would be ideal for my book.